Marla is the main historical interpreter for the Johnston Farm site in Piqua, Ohio. 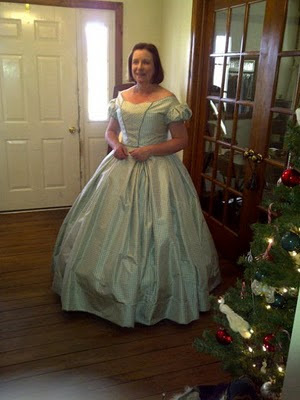 She is wearing an 1830's styled day dress. Beverly Smith and Kitty Tomsic are the proprietors and historical clothing reconstructionists for Sycamore Springs Clothiers. They are assisted by seamstresses, Kelly Smith and Sarah Tomsic. 100% Cotton check with blue linen banding and binding. 100% wool with cotton print lining, hand finished. 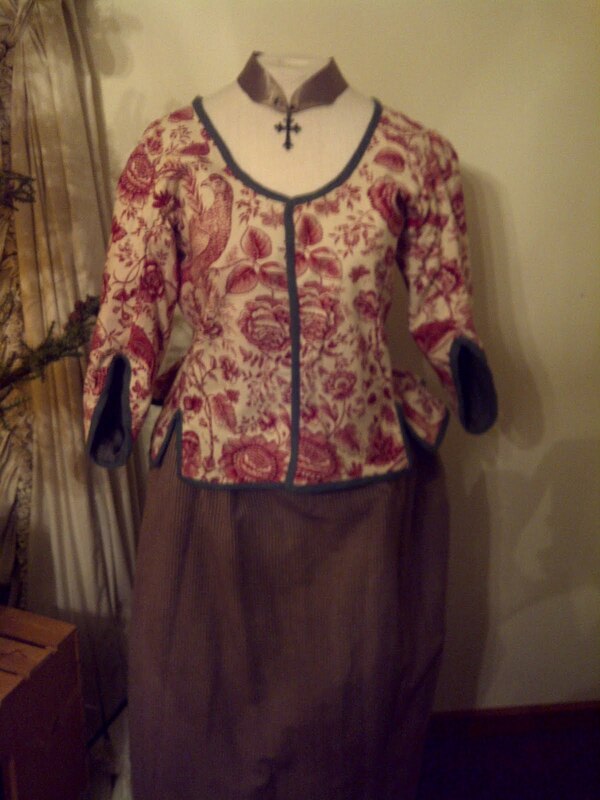 SOLD--Forest green wool jacket with red and white cotton toile lining and edged dark green linen ferreting. Hand finished. Reversible. Fits all medium sizes (8 to 10). $165 plus tax and shipping. This gown was custom made from a light green silk to wear as a simple civil war era ball gown. An 1870's french fashion inspired design incorporating the colors of autumn.